Cube is one on its own. 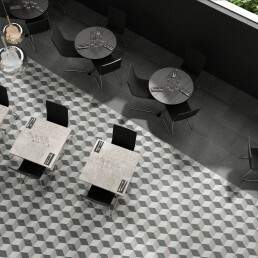 A unique 3D geometric porcelain tile, that has been cleverly designed to produce a 3 dimensional effect. 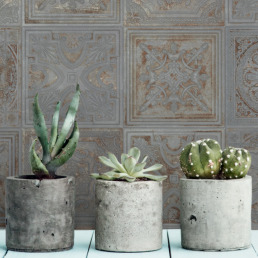 A glazed 3D print brings any surface into another dimension. 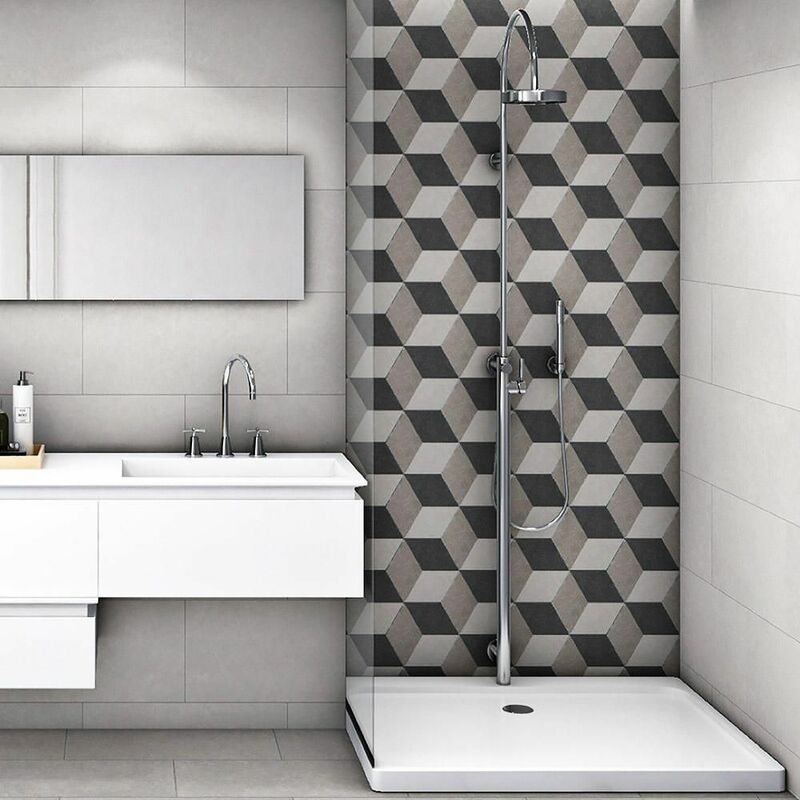 The geometric cubic pattern consists of 3 different coloured diamonds that are cleverly designed to create a 3-dimensional Cube design! 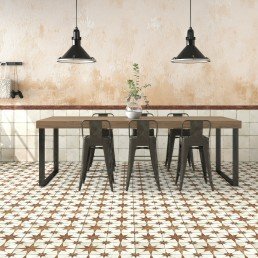 This Porcelain stoneware tile has elements of interior design, with an almost encaustic cement tile effect. 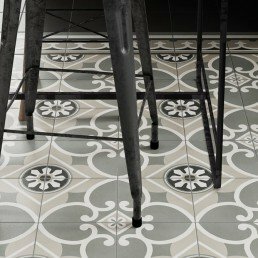 Cube, a stylish, eye-catching and durable tile that ticks all the boxes to create an introduction of detail. 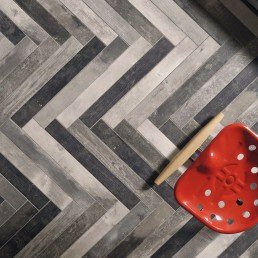 The cube range has a matt finish giving the tile endless usage in areas such as Hallway, kitchen and bathroom. 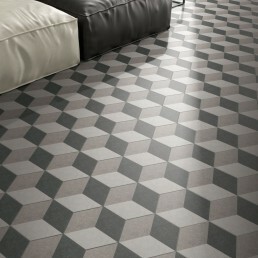 The cube geometric pattern tile is suitable for use on floor and walls. The tile is made up from three shades, an off white, dove grey and charcoal. Each tilehas the eefect of an actual cube, the way in which this geometric tile has been designed is that the elements of the tile repeat time and time again to create the 3D cube illusion. 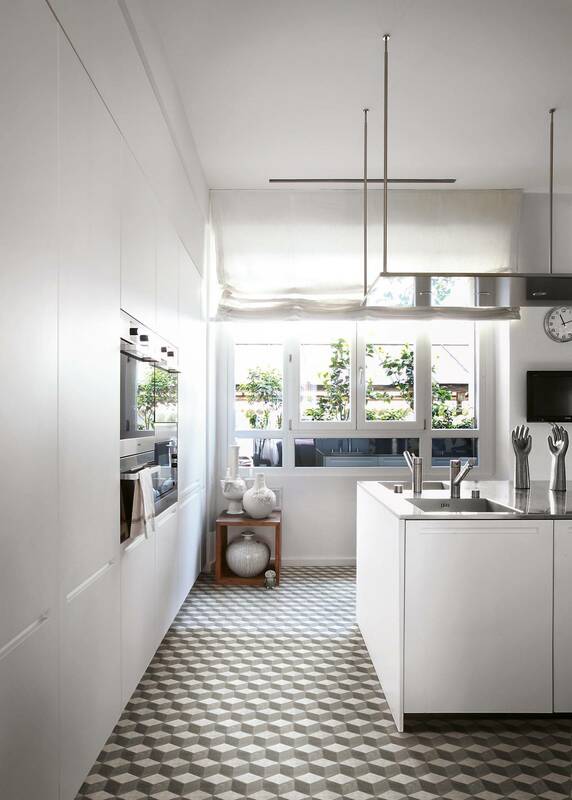 This strikingly clever geometric pattern creates a stunning 3D effect. 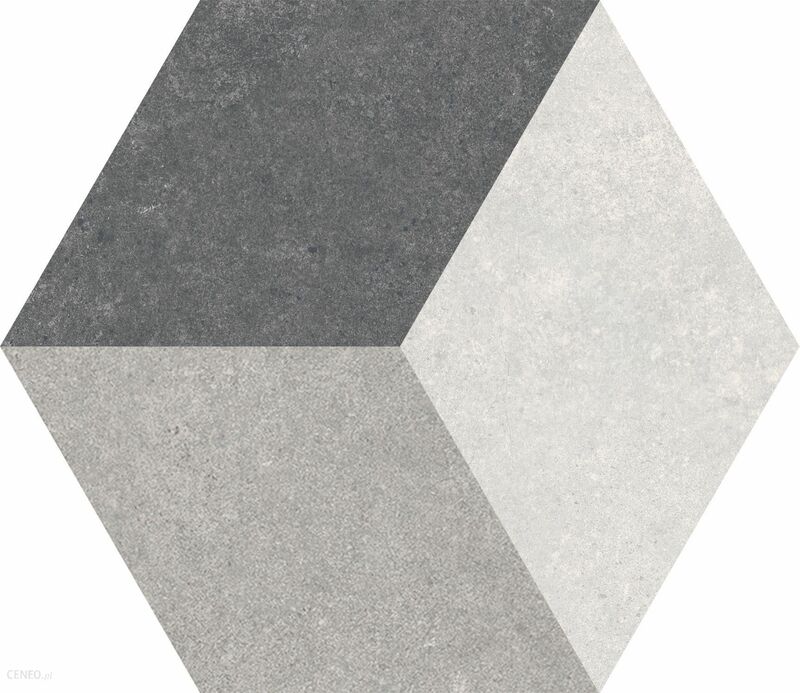 Made up of three grey tones, the Hexagon shaped tile comes to life when fitted. 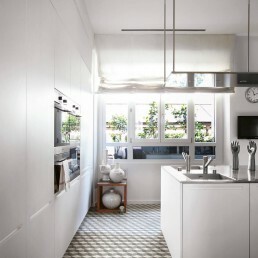 You can see in the images the tiles 3D effect in full glory. 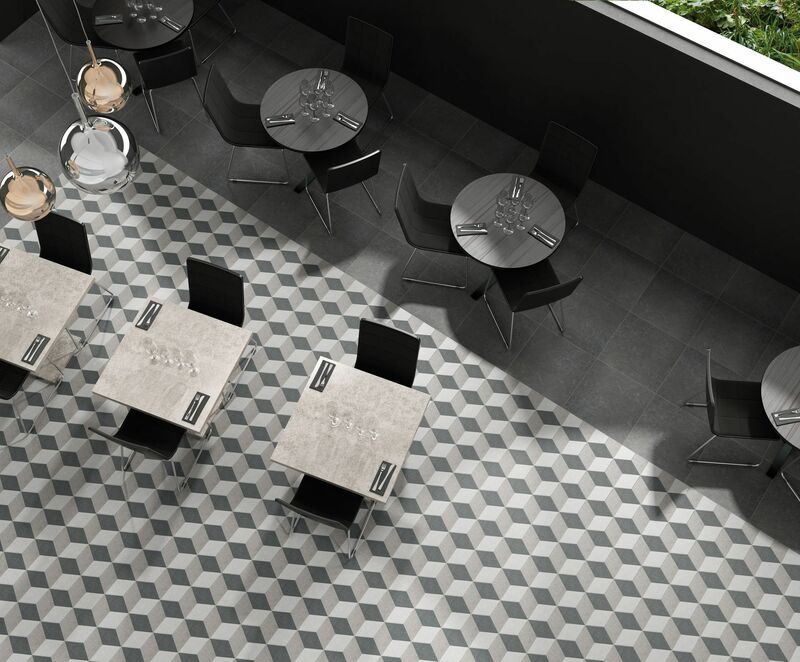 Wherever this tile is laid the Cube brings depth and character to your space. 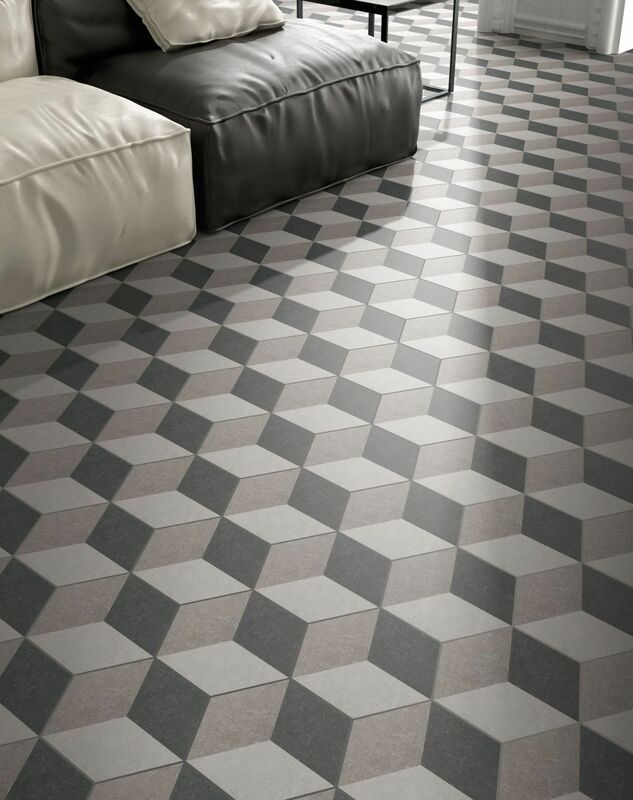 A geometric tile, the cube will appeal to a broad audience because it is hard wearing, decorative and an all round work of art.